Growth is good. Through history, economic growth, in particular, has alleviated human misery, improved human happiness and opportunity, and lengthened human lives. Wealthier societies are more stable, offer better living standards, produce better medicines, and ensure greater autonomy, greater fulfillment, and more sources of fun. If we want to continue on our trends of growth and the overwhelmingly positive outcomes for societies that come with it, every individual must become more concerned with the welfare of those around us and in the world at large and most of all, our descendants in the future. So, how do we proceed? Tyler Cowen, in a culmination of 20 years of thinking and research, provides a road map for moving forward. 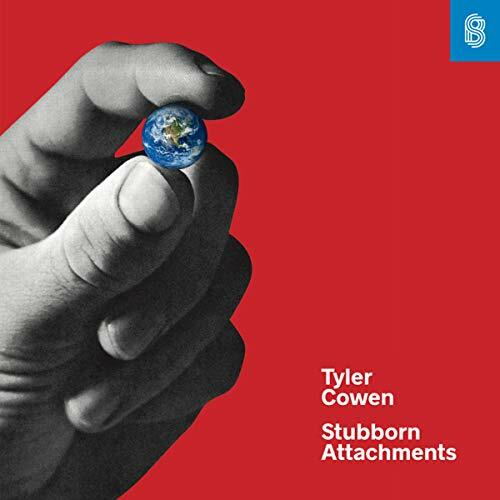 In this new audiobook, Stubborn Attachments: A Vision for a Society of Free, Prosperous, and Responsible Individuals, Cowen argues that our reason and common sense can help free us of the faulty ideas that hold us back as people and as a society. Stubborn Attachments, at its heart, makes the contemporary moral case for economic growth and delivers a great dose of inspiration and optimism about our future possibilities. If you have any questions about this product by Stripe Press, contact us by completing and submitting the form below. If you are looking for a specif part number, please include it with your message.